Wonderful, although spiked with drastic moments, true story, autobiography of Ayaan Hirsi Ali. Emerging from a Somali born family, living also in Saudi and Kenya, learning about various ways of practicing Islam, growing up among cultures and traditions where Islam is a religion of birth, she makes a life altering decision and decides to stay in Europe. She becomes an atheist (unfortunately) and surprisingly politically incorrect in the midst of one of the most liberal European nations, Holland. One thing that I agree with her is her opinion on Mohammed, the founder of Islam. Czas na apokalipsę. Czas przebudzić jeźdźców czasów ostatecznych. Czas ożywić ducha mesjanizmu. That’s the title of a book that Zondervan is releasing on October 10th. I tend to think these days that prayer works. God is unexpectedly surprising us by a twist of events that no one would predict. Some of my friends from other countries say, this is possible only in the USA. A person arises from almost nowwhere, electrifies the whole party and the country, speaks her mind out without fear of stepping on someone elses ideas, stands in the midst of seasoned politicians and proclaims with her life that LIFE MATTERS. I like that kind of ‘feminist’, the kind that ‘walks the talk’, is a Christian, has more than two kids and governs a state in the most important country of the world!!! I finished “Shattered dreams. 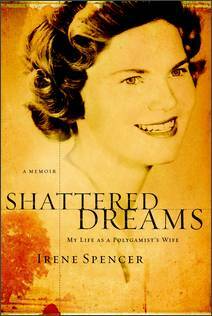 My life as a polygamist’s wife” by Irene Spencer. 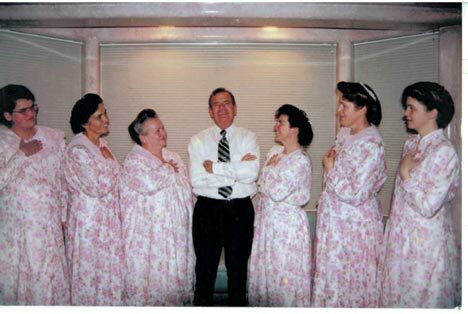 Former Fundamentalist Mormon speaks out about her life as a second wife in a polygamous marriage. She was married at 16, endured enormous hardships, living for years without common benefits of civilization, like water and electricity, was sharing her husband with 9 other wives, was mother to 13 children, and was mostly unhappy and depressed. She did it, because she believed in the afterlife as an exalted goddess, which could be obtained only by living “The Principle”. The best news is, that she has found God’s love at the end of it all. Currently she has 119 grandchildren and 37 great-grandchildren. 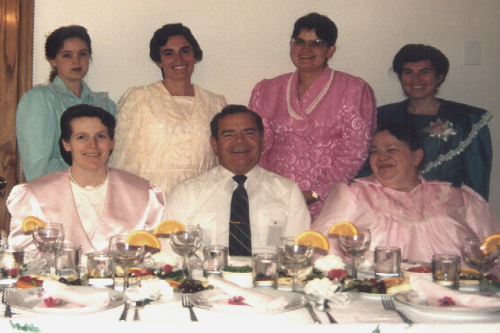 Good video called “Lifting the veil of polygamy” introducing stories of people who lived through similar circumstances. I like to know about any recommendations for the books which are a “must” from others. I do read book’s reviews at Amazon and other sites (especially homeschooling stuff, it saved me from purchasing many over-marketed books), then I check them out from the library. The last 2 weeks I’ve read 2 books, memoirs written by Iranian women who lived throughout the Shah and Khomeini times. You will become familiar with the culture, traditions and customs of the people of 20th century Iran as well as meet 2 women who went against the flow of the times, had to learn how to survive, live and tell the story. “Prisoner of Tehran: a memoir” by Marina Nemat, tells you a story of a girl imprisoned as a teenager, surviving execution, forced to be married to her captor. Fascinating and powerful, one night read. You can’t put it away, every chapter draws your attention to the next. Vividly portrays the prison life, emotional and spiritual turmoil, painting them on the canvas with the background of her life before. 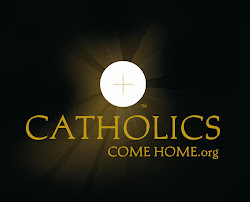 As a Catholic believer, she was under even greater scrutiny, but her faith gave her courage and she had few encounters that clearly proved her God to be the One who loves, cares and remembers. “Persian girls: a memoir” by Nahid Rachlin, starts as a story of a girl who was given by her mother to her barren aunt, and then taken back. She takes you through her family’s events, rather tragic, through the moment that changed her life, going to school in the USA. She struggles to keep her identity and to fit into her new lifestyle, which she expected to be different. Both of these books dismantle the idea that Shah’s western ways of life, promoted so heavily during his reign, were of a help to the Iranian women. You see the position of a women coming from an era of superficial freedom under Shah, who controlled the society for his personal benefits, to the place of religiously imposed laws, not giving them any other options to chose from.